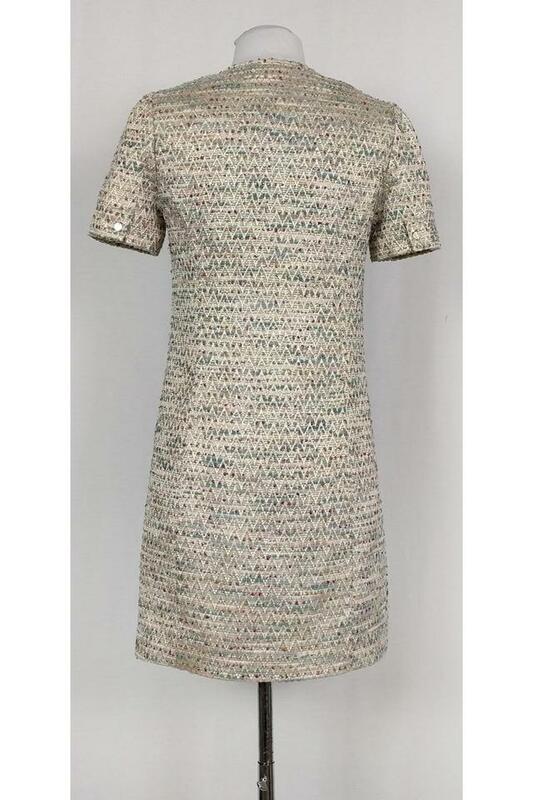 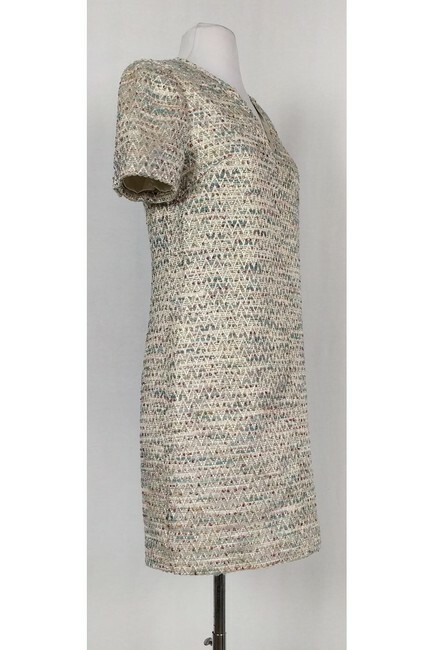 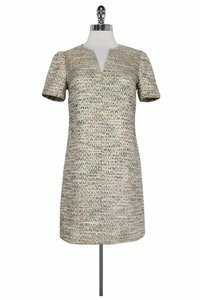 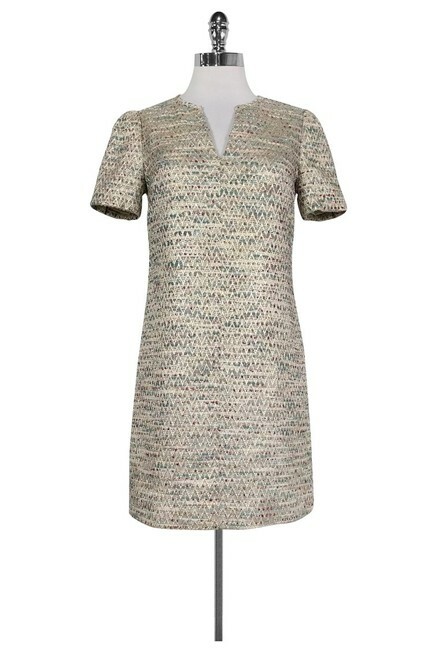 Gorgeous tweed dress with gold-tone metallic threads that add a touch of shimmer. Perfect for any dinner party or Sunday brunch event. This dress is a sophisticated choice that can be worn with gold pumps and a statement clutch.